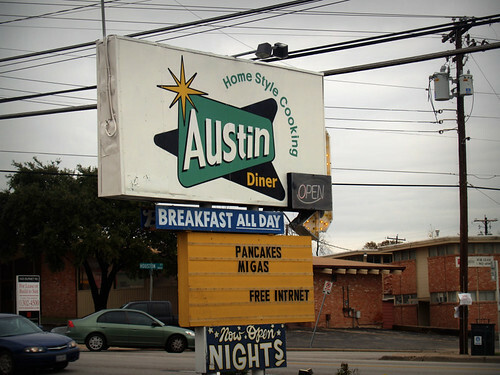 I had lunch at Austin Diner today, and four hours later, I still smell like burnt hash browns. Today is Hubs' birthday, so I'm going to go shower before he gets home from work because I'm pretty sure burnt hash browns is no where near the top of his list of favorite smells. I may have just met my new favorite shirt!